Every job can be categorized, but we did not want to create an excessive number of sections on InterviewPenguin.com. We decided to include flight attendant, fire fighter, bus driver, HR generalist, law firm employee, social worker, nanny, and many other roles in the section of non-categorized jobs (in alphabetical order). If you can not find your job title in the list, try using the search button (in the footer of the page). Thank you! Airline pilot interview questions – Learn how to answer personal and behavioral questions and secure your spot in the driver’s seat. Architect interview questions – Your hard-earned degree proves your technical skills. But you will have to show more than that in your interview. Bus Driver interview questions – Having responsibility for the passengers, the interviewers will test more than just your driving skills in an interview (prepare for behavioral questions and a personality test). Correctional Officer interview questions – Learn how to show the right attitude, how to convince them that you know what it takes to become a great correctional officer. Consulting interview questions – Prepare for short case studies, and learn how to demonstrate your consulting skills with your interview answers. Only the best will succeed in this interview, arguably one of the most difficult. Dietitian interview questions – We are what we eat, and what we breath. Nutrition plays a pivotal role in both prevention and cure of numerous illnesses and diseases. You made a great job choice. Now it is time to learn how to turn the dream into reality. Firefighter interview questions – I want to be a firefighter! We all had this dream in the childhood. But how difficult it is to get the job? Flight Attendant interview questions – 25 common questions for your interview, and an advice on how to convince them to hire you. Housekeeping interview questions – Whether you try to get a job with an agency, or directly with the property owner, we will help you to get ready for your interview. HR interview questions – Advice on how to approach your interview for any position in human resources. Janitor interview questions – Why janitor? What motivates you in this job? Can you work independently? Why our company? Learn how to answer all these questions. 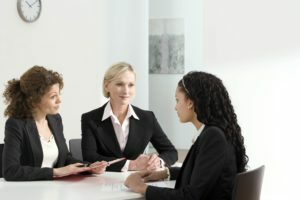 Legal interview questions – It is tough to get into a law firm without having a connection onboard. You will get nowhere without knowing how to deal with the most common questions for this position. Lifeguard interview questions – Sunglasses on. Find your spot, take a seat, and enjoy the beautiful view. Beach or a nice pool, beautiful girls in their swimsuits, and your dream job for this summer. Let’s learn how to get it. Model interview questions – Attracted to career in modeling? Learn what matters besides your great looks. Nanny interview questions – Whether you apply directly in a family, or with an agency, our list of questions and answers should help you to get the job. Photographer interview questions – Learn how to answer eleven common questions, and how to present portfolio of your best works in an interview. Probation officer interview questions – Learn how to answer eight questions that are common in an interview for this job. Reporter and journalist interview questions – Want to work for a newspaper, or a TV station? Learn how to ace an interview for this job. Social Work interview questions – Learn how to convince the interviewers that you have the right personality for the job in social sector. Technical Writer interview questions – Two things will decide about your success in this interview. Your answers, and the portfolio of your best works. Learn how to prepare both of them. Training Specialist interview – Fifteen common questions and answers for a popular position in HR. * If you did not find your job title in the list, try the search function in the footer of the page.